Tourists going to Venice beware – and make sure you read the fine print. Everyone knows the lagoon city can be expensive but seven tourists from Rome got a bitter surprise when their bill for four coffees and three liqueurs at an outdoor cafe topped 100 Euros ($130). 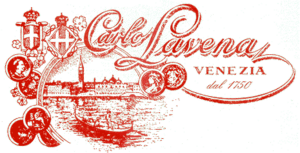 The scene of the mishap was the famed Caffe Lavena in St. Mark’s Square, where 19th century German composer Richard Wagner, who died in Venice in 1883, sat to have his morning coffee every day when he lived in the city. What the Roman tourists – who posted their receipt on Facebook – apparently did not notice when looking at the menu was the “music surcharge” of six Euros per person. It added up to 42 Euros, or nearly half of the bill.